Just when we think we could not possibly love the Jimmy Fallon Show more than we already do, he comes out with some new amazing skit that has us peeing in our pants we’re laughing so hard. The man really is a comedic genius, and we are eternally grateful that he graces our TV screen daily. Back when he was making waves on SNL, we loved him as the co-anchor of Weekend Update alongside our hero, Tina Fey. Since then, we have watched him blossom into an all-star host, interviewer and TV personality on The Tonight Show, starring (who else) Jimmy Fallon. Next up on his success hit list? His new children’s book, “Your Baby’s First Word Will Be DADA,” which comes out on June 9th. He has made us giggle more times than we can count, but equally important to his acting skills and unparalleled ability to make us laugh, Jimmy Fallon is also a family man, which makes us love him most. He has been married to producer Nancy Juvonen since 2007, and they have 2 beautiful daughters together. An article in Forbes argues that “Fallon has risen to become a star by doing just one thing: being himself,” and we couldn’t agree more. Despite his fame, he seems to stay true to who he is, what he finds funny, what will make his family and his fans proud, and we are constantly in awe of his talents. 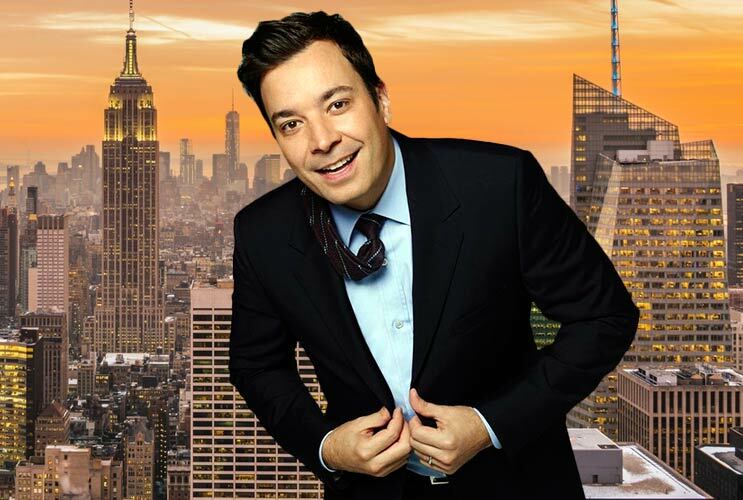 Here are 11 reasons we heart Jimmy Fallon. Warning: if it hasn’t already happened, you’re about to fall crazy in love with him too.